Fight the wicked goblin invaders and beat the boss in air combat to be the savior of Mooshmooland! Help Ironpaw, the brave Panda Commander, to fulfill his mission and defeat the boss monster in his modern aircraft! 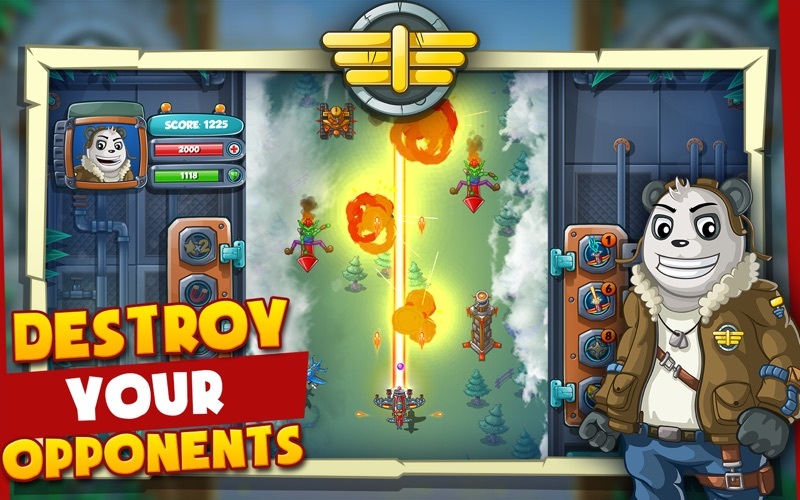 Download Panda Commander Air Combat and this intense blaster will replace all the other airplane shooting games you used to play! One morning Panda Commander received a disturbing call from Rikuto-sensei. 'We're under air attack! The portal is open, goblins are everywhere'! Now it's up to brave Commander Ironpaw to save Mooshmooland from evil space invaders! Start the infinite air defense flight, be the best plane shooter, enter the endless dogfight and shoot 'em up all! If you're into jet battle games, Panda Commander Air Combat will become your favorite shmup airplane fighter simulator! Panda Commander Air Combat is the most intense shoot 'em up plane simulator 2015! 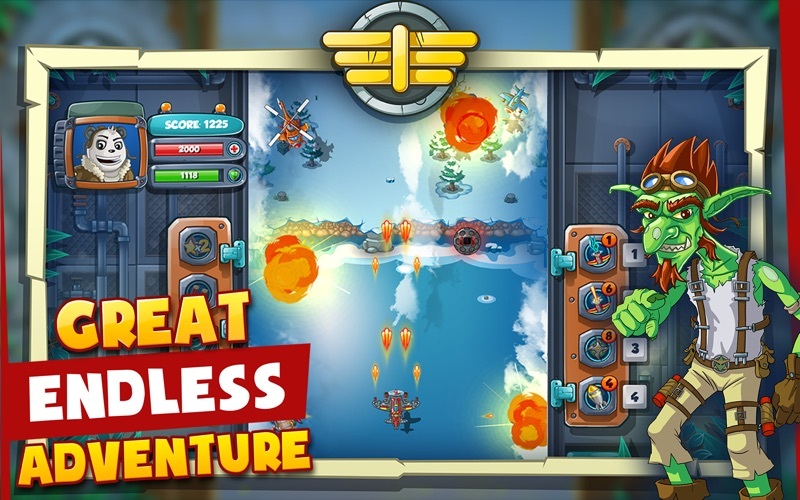 Start your air defense flight, fulfill your warfare duty, complete the jet air strike mission, and fight in the epic boss battles to destroy the furious enemy forces and win the dogfight! If you're a fan of shmup and other war games, and you loved to play vertical retro aircraft battle arcade games, this awesome fly plane flight simulator 3D will become your favorite navy fighter pilot game! If you're bored by all the air “shooting games” with military warplanes in World War II, you'll be thrilled when you engage in an epic panda jam dogfight with angry goblin space invaders! 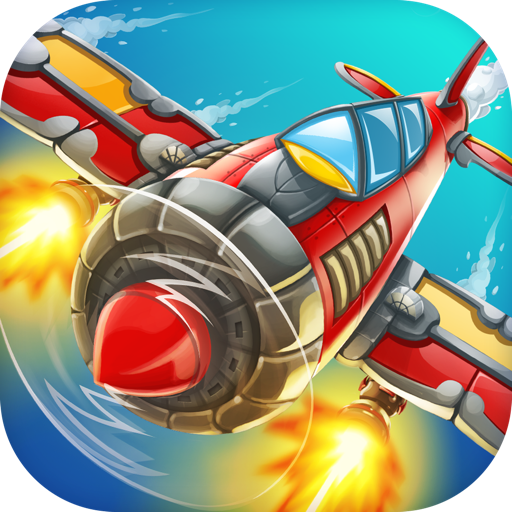 Enter the world of aircraft and this fast-paced action-packed gameplay and extreme metalstorm missile strikeforce attack waves will provide you hours of fun! Panda Commander Air Combat is one of the best flying and shooting games, so if you're looking for an ultimate airplane flight simulator experience with loads of top down bombing and shooting action, this cool gunship battle jet fighting game is all you need! Who doesn't love to play shooting games? 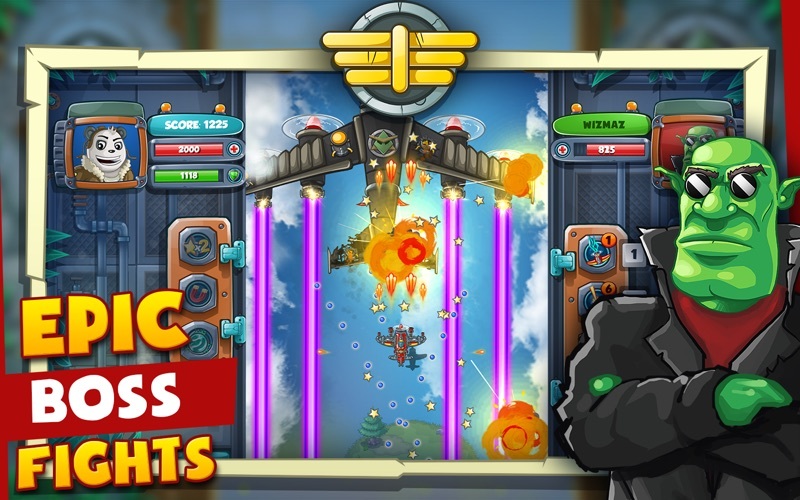 No matter whether you're looking for some fun games for boys and girls, kids and adults, or even seniors who love playing retro arcade games, this airattack battle command “flight simulator” game will completely blow your mind! 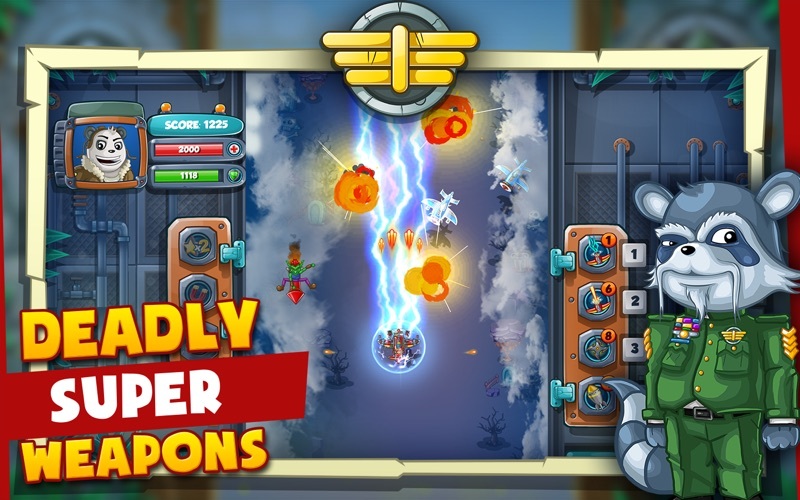 You'll have a blast being a brave panda commander plane pilot and gunner shooting and dodging missiles, bombs, laser beans and enemy airships! So, what are you waiting for? 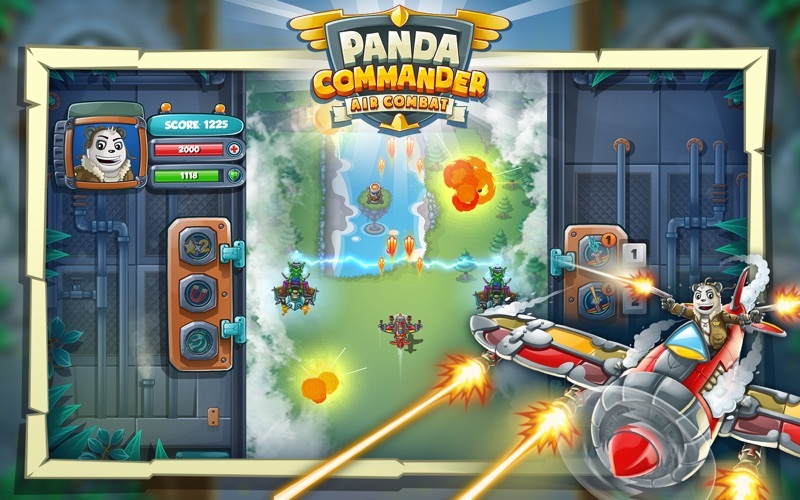 Download “Panda Commander Air Combat” and embark on an intense warfare airstrike mission to save the world!